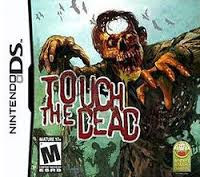 Touch the Dead NDS apk android for DraStic free download working on mobile and pc,Nintendo DS Emulator Bring out your dead for this arcade-style zombie shooter. You wake up in the middle of the night, your prison cell door wide open. Where are the guards? Why is it so silent? Is fate on your side? A shotgun lays beside you, drenched in a pool of blood. 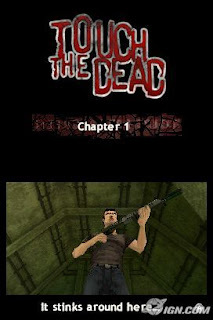 One thing is certain, you’re gonna need that shotgun! 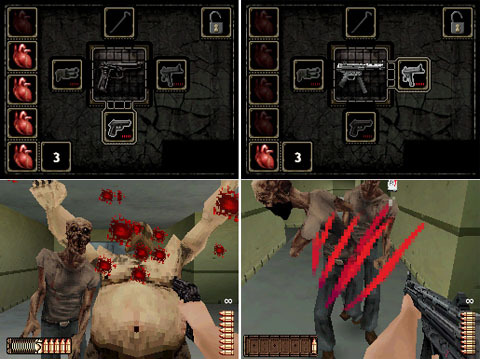 Unleash sheer hell in this shooter for the Nintendo DS console. You play as Rob Steiner, jailed for life for a murder you may not have committed, but now find yourself faced with a way out, as long as you can face the pure evil that has opened the door! From maximum security prisons to research facilities, from swampland to airport, pickup your shotgun and blast your way through this action packed zombiefest. Play alone or with a friend thanks to the DS Wi-Fi Coop Mode. Can you solve the mystery? Can you find the truth?On-Rails shooting action for the Nintendo DS. Action orientated arcade style gameplay using DS specific features, tactile gameplay, double screen HUD and inventory, all utilizing the special features of the DS. Multiplayer Mode – Story mode available in co-op via a wireless connection. 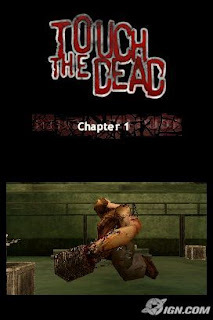 Replay Value – Multiple endings, hidden secrets, unlockable items. Immersive Storyline – Discover the truth. Terrifying Levels – Four chapters of horror, suspense and action lurking around every corner.